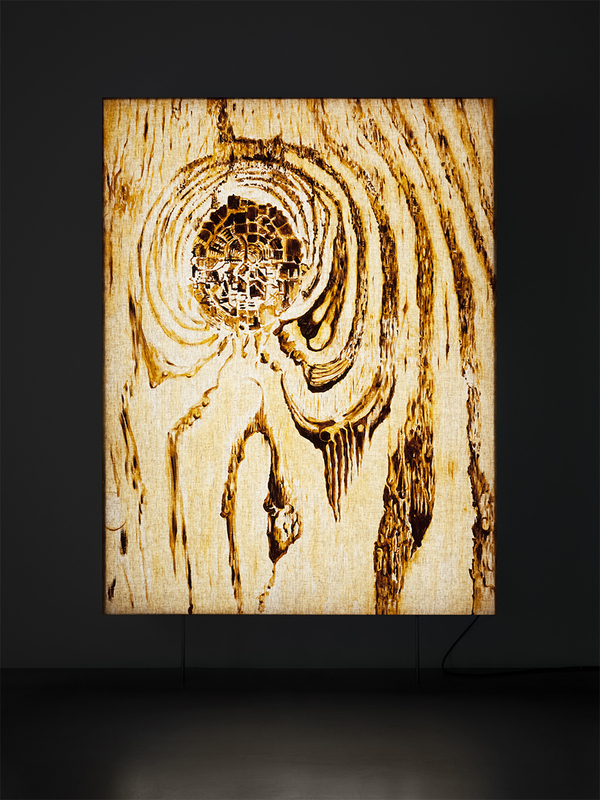 This summer Ulf Rollof will open his first mid-life exhibition at Moderna Museet in Malmö. At CFHILL the public can get a taste of his most recent light-filled paintings: joyful, anarchistic playroom fantasies in sensual colours that dream-like blend references from the artist’s life near the sea - surfboards, pirates, treasure chests, maps and sandy beaches. The struggle to survive, which identified Rollof’s work thirty years ago, has been transformed into a bubbling lust for life in blue, red and violet. Confetti from history’s possibly most unreal presidential inauguration had hardly been swept away before the order was issued to commence building a wall on the border of Mexico. An eventual catastrophe. Even though it was not there it began, it is nevertheless a kind of beginning for Ulf Rollof, who as a young man arrived at the American-Mexican border, which in 1985 underwent a catastrophe, an earthquake that cost thousands of lives. This is what I associate with Ulf Rollof: his concentration on one thing - survival. He became well known in the early nineties with his amazing life-saving machines: bellows, fly-traps, heated seats, protective clothing. All were constructed from the simplest materials: metal bars, rubber, tarpaulin. With its restrained yet desperate poetry, Rollof’s work was something one did not easily forget. A few years ago Ulf Rollof exhibited a number of paintings using the same technique as his current work. The theme was kleptomania, a compulsive disorder that he suffered from for many years. His euphoria at overcoming this disorder became stronger than expected and still remains. —These paintings are a free-standing continuation. I don’t need to talk about kleptomania any more. Now I’m thinking more of pirates, to be released, liberation. Something of the culture I have around me in Ventura (north of Los Angeles), with surfers and bikers. During this last year, beach life has had to compete with a new art nouveau-style flat in Stockholm. When he was in art school Rollof was never interested in art history, but now neo-classicist style on the edge of modernism leaves him no peace. It creeps into his paintings’ sweeping and extended curves, decorative elements and breath-taking perspectives. —Art Nouveau is connected to my art. It is the collision between culture and nature, a different style. You feel that it’s a transition, between the old and the industrial revolution. It was like finding a friend. The atmosphere before a revolution - there’s an innocence, the last, final innocence. According to the artist, these five paintings are the most classic he has done. —It’s about painting, physical painting. Impasto (thickly applied paint) is like a heavy imprint. I paint in complete darkness. It’s as if I go into a darkroom, just as I did when I was young and worked as a photo finisher. How can Rollof have gone from colourless debris to this clear pure joy in painting? —One has different sides. Over the years I’ve had the possibility to go through different parts of my brain and my hands. I think the hands seek out what is to be done. The same thing happens when you steal. You become very skillful at everything you must, you have to do.